NEW: Download our free iOS app now! We provide you with the exact 3D coordinates of an object either statically or dynamically over unlimited periods of time. The Linearis3D Photogrammetry System is portable and easy to use. The measurement process is almost 100% automated. 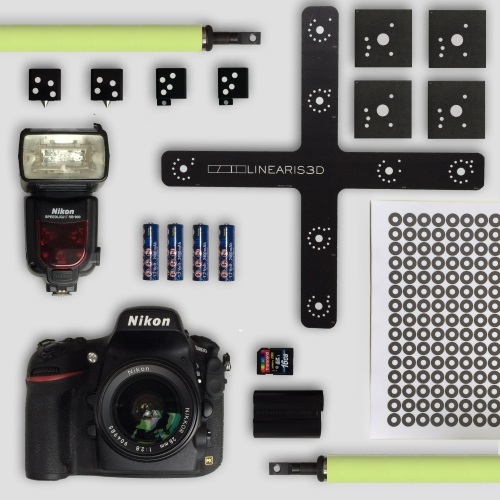 System components are a specially configured camera, a scale, measuring markers, carrying case and accessories. It weighs about 10 kg, and the system is so robust that it can be used in almost all industrial environments. We offer two different editions with the features that you need. 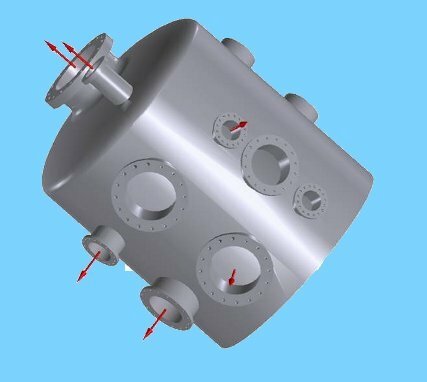 This allows a cost-effective entry into the company's own optical measurement technology by photogrammetry. Various hardware options such as higher resolution cameras, special feature adapters or longer scales for large objects make the system even more flexible. A big advantage of photogrammetry is that it can cope with different lighting conditions, fluctuating temperatures and vibrations, without sacrificing precision. The application of the system is very simple. First, the desired measurement points are marked with self-adhesive or magnetic markers. Then a few dozen to a few hundred pictures are taken in quick succession. The evaluation is fully automatic by the software. With the extensive analysis functions, the required data can be generated quickly. The results can be evaluated live or collected over an arbitrarily long period of time. Thanks to modern hardware our dynamic photogrammetry system can also be operated completely wirelessly. All measuring systems can be expanded as required by any number of (special) cameras (for example, higher resolutions or recording speeds). Just ask for an offer. The procedure is individually adapted by us to the task at hand. We advise you in detail which measured values are important, set up the system and provide you with the data you need. Just call or write us. Using the Linearis3D SDK you can make your measurement application easily more powerful. We offer a wide variety of algorithms from 2D image analysis to determining the intrinsic camera parameters to camera orientation and adapter detection. Our image evaluation algorithms can detect an ellipse center with an accuracy of 0.03 pixels or better! We offer various algorithms for camera calibration, which can be configured depending on your application. 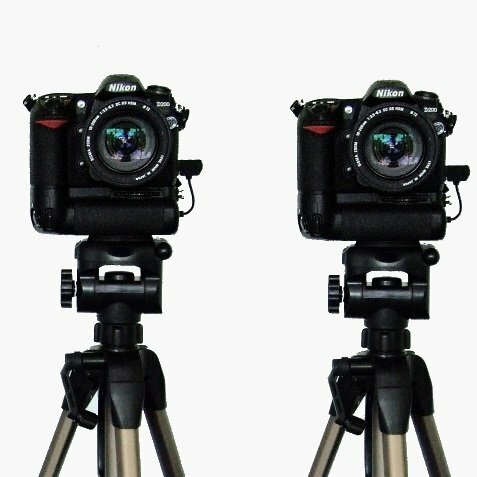 Our software makes it possible to orientate an arbitrary number of cameras relative to each other. 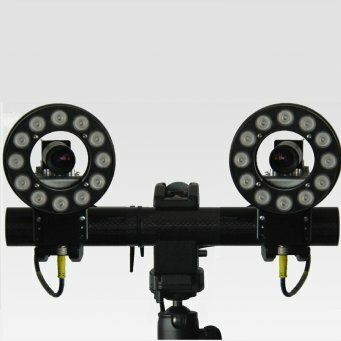 We can control these cameras using our vendor-independent SDK, trigger them synchronously and evaluate the data. Of course, we also carry out studies on specific tasks. We have developed several integrated solutions for scanners, cameras and software products. Get an overview on how to use the spectrum of photogrammetry hardware and software. Explore how to make the analysis of your data more efficient. As part of our customer service we offer seminars and trainings on individual products and methods of photogrammetry. For many industries photogrammetric 3D measurement methods are part of their daily routine. 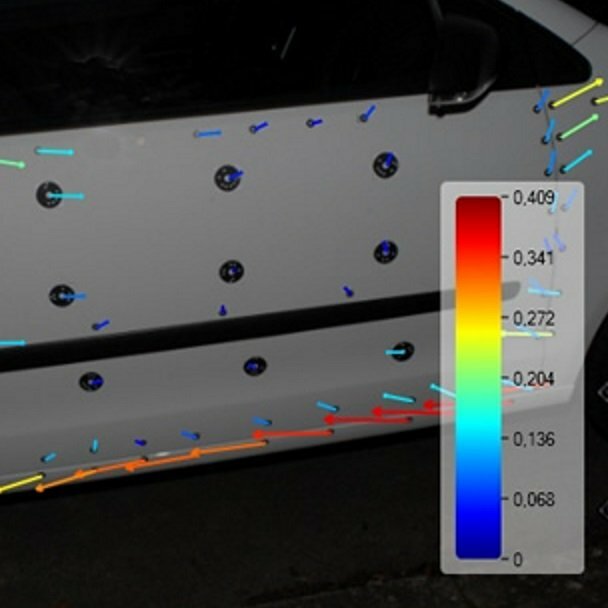 The deformation measurement is a prime example how photogrammetry can lower costs and create insights that would not be possible with other technologies. But many companies and some scientific institutions might not yet have evaluated how much they can benefit from photogrammetry. From industry to medicine to skilled crafts and trades, there are countless opportunities where the new digital methods can deliver rewarding discoveries. Please contact us!